The Elvid FieldVision 7" On-Camera Monitor with Canon LP-E6 Battery Plate and Charger is a 7" LCD monitor that you can attach to a DSLR or HD video camera via the 1/4"-20 threaded mounting hole on the bottom of the monitor. It comes equipped with a Canon LP-E6 type battery and charger. 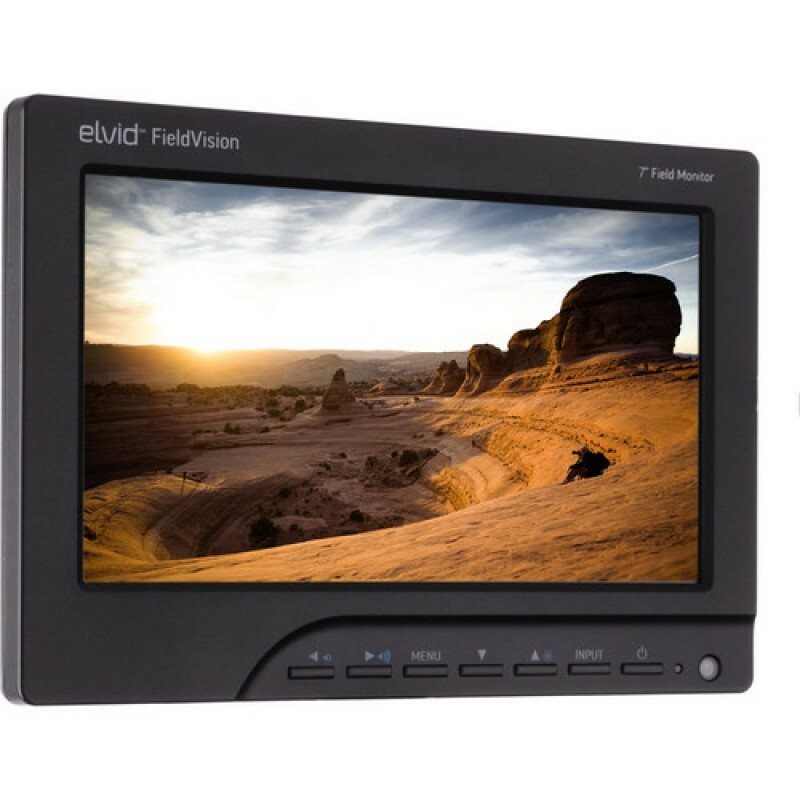 The field monitor features a native resolution of 800 x 480 pixels and supports resolutions up to 1920 x 1440 scaling down the video to fit. 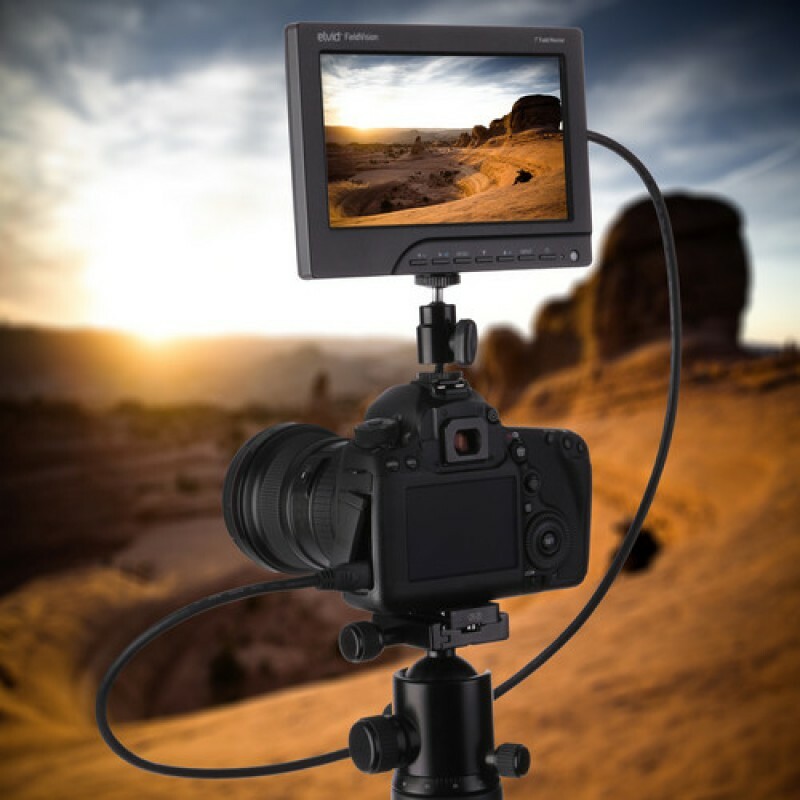 With brightness levels of 250 cd/m2, a 500:1 contrast ratio and a wide off axis viewing angle this monitor is a useful tool when shooting video or stills, providing you with a larger image than your camera's built-in viewfinder or LCD screen. 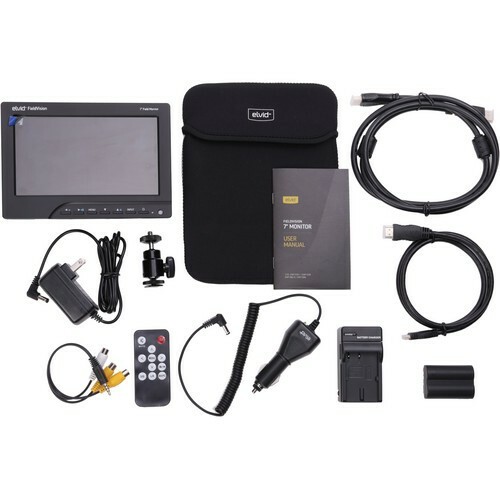 The monitor provides dual composite video inputs and a single audio input, as well as HDMI and VGA (PC) connectivity. Special features include horizontal and vertical image flip, a rear speaker for audio monitoring, and auto aspect ratio detection. When using the HDMI or VGA inputs you can adjust the color temperature of the monitor's display. The monitor includes one Canon LP-E6 type battery, a charger, an AC power supply, and a cigarette lighter power adapter. The battery plate is removable, and replacement battery plates are available so you can power your monitor with optional compatible batteries. 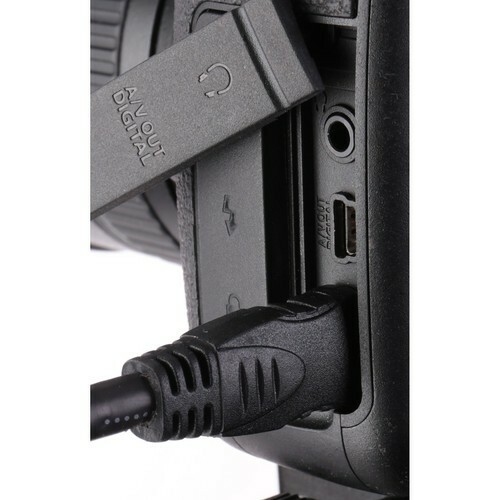 The included accessory shoe to 1/4"-20 adapter allows you to mount the monitor directly to your camera's hot/cold shoe. The FieldVision monitor features a 7"" LCD screen with 800 x 480 native resolution and supports standards up to 1920 x 1440, including 1920 x 1080, 720p and both NTSC and PAL. The 500:1 contrast ratio and 250 nit maximum brightness make this a versatile monitor that works well in both dark and bright environments. 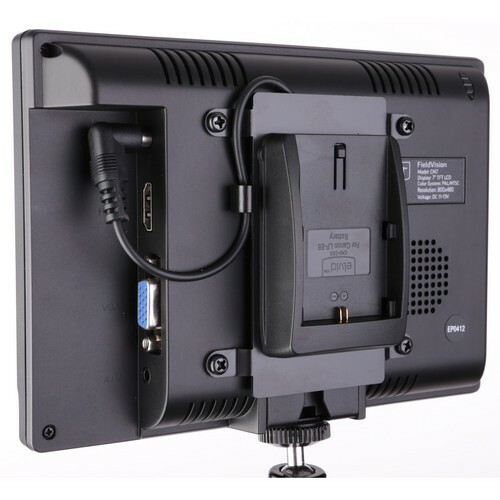 The monitor features an HDMI, a VGA, and two composite inputs with an audio input via the included A/V cable. 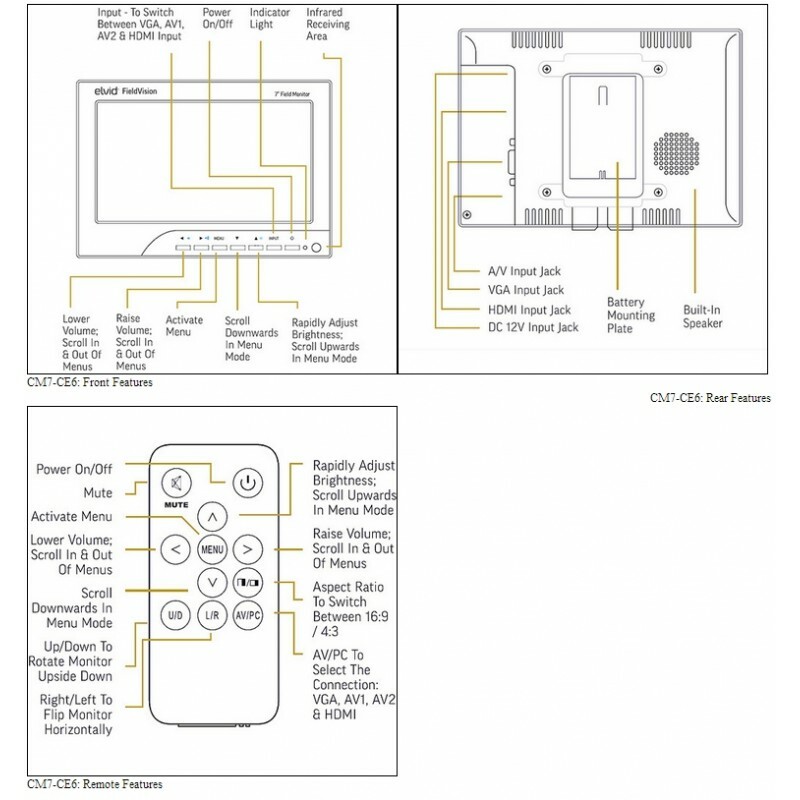 There are menu adjustments for volume, brightness, contrast, hue, saturation, color temperature (only when using the HDMI or VGA inputs), aspect ratio selection (4:3 and 16:9), and horizontal and vertical position adjustment. The monitor also features independent horizontal and vertical image flip, which allows you adjust the monitor to view the image correctly even if the monitor is upside down or you are seeing it in a mirror. The color temperature settings are adjustable using presets of 9300K, 7500K, 6500K, as well as a user adjustable setting. Volume up and down and monitor brightness are also directly controllable from via the front buttons without accessing the menu. You can select from the following languages for the OSD. English, Simplified Chinese, French, Italian, German, Spanish, Traditional Chinese, Japanese, Korean, and Russian. The monitor comes with an attached Canon LP-E6 type plate to power the unit. It also includes a Canon LP-E6 type battery and charger. 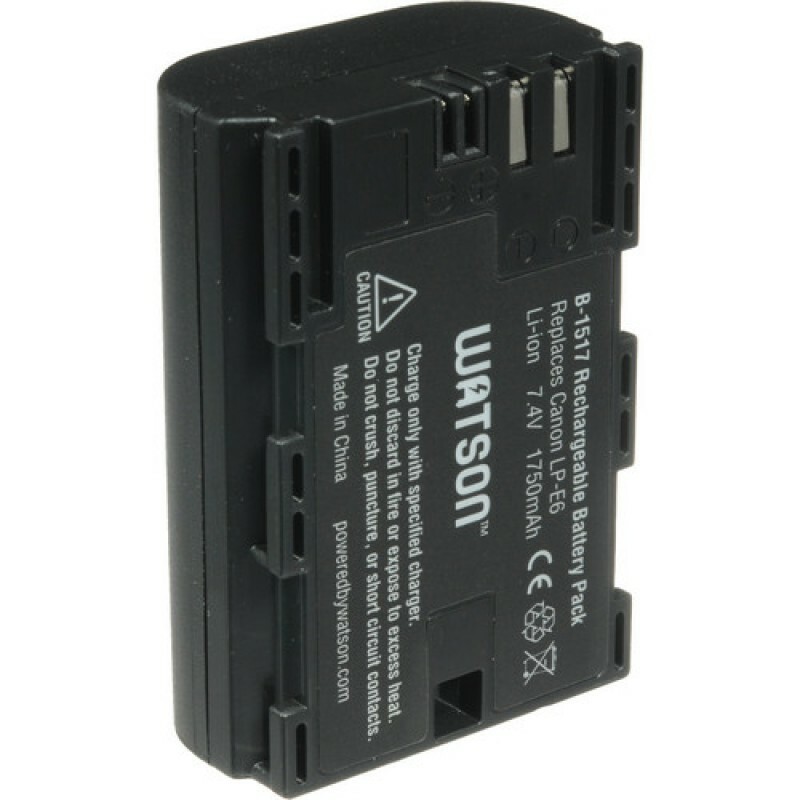 You can purchase optional battery plates that will allow you to use select batteries to power your monitor. 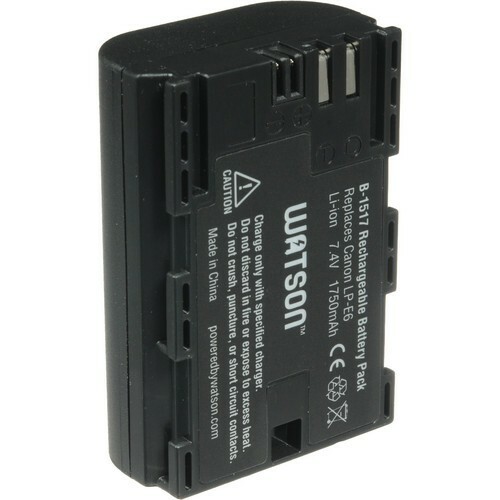 This is useful if you change your camera system and start using different batteries. By switching to an available compatible battery plate, you don't have to carry different kinds of batteries or buy a whole new monitor. 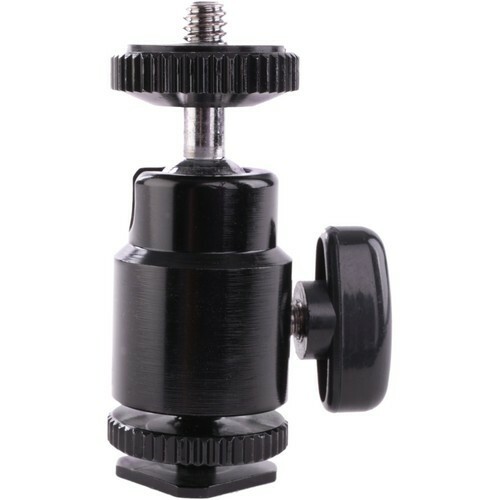 An included accessory shoe to 1/4""-20 ball head adapter features 360 degrees of pan and 90 degree tilt adjustment and allows you to attach your monitor directly to your camera's accessory shoe. 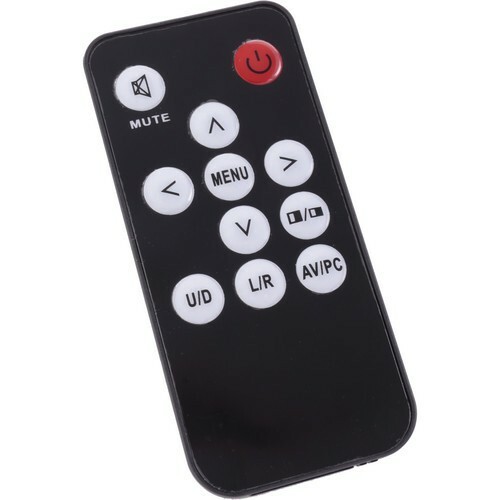 You can use the included IR remote control to access and control the monitor's menu features. The included cigarette lighter power adapter allows you to power your monitor from an automobile cigarette lighter socket, allowing you to conserve your Canon LP-E6 type battery, while monitoring in a car. You can also power your monitor from available 12 V DC batteries that use cigarette lighter sockets. 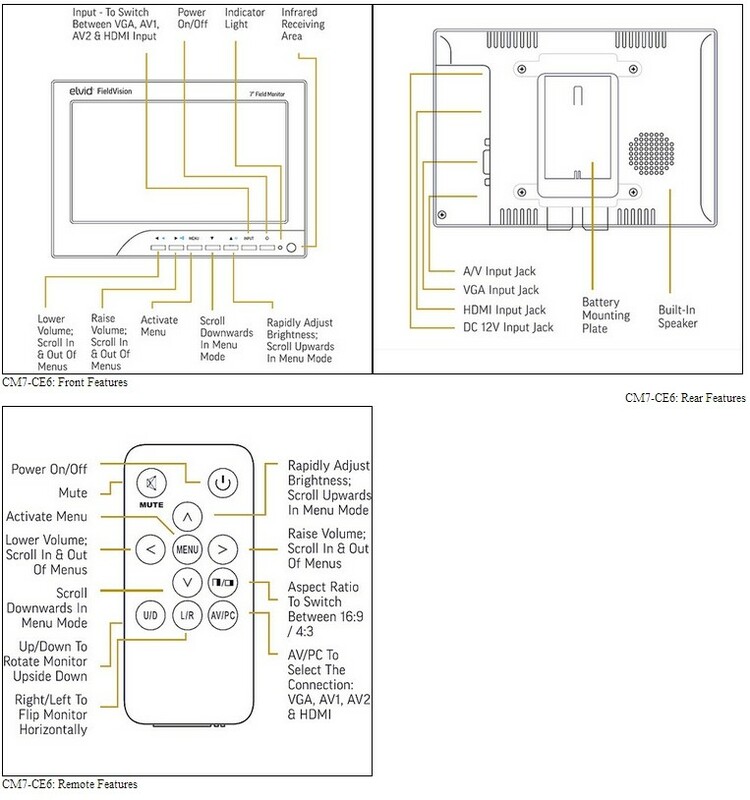 The monitor can also be powered directly from the included AC power adapter. Using with my 5d mark iii. it has made hand held point and shoot a bit more complicated but still it is so lightweight that it is doable and with a tripod or additional surface it has way increased the quality of my shots. Detail is very visible, this is a great companion to my DSLR. Overall this screen is exactly what I needed and everything comes in the box so unpack and start shooting with no complicated installation. I am very satisified with this purchase. I recommend it to anyone who cares about detail or wants to enhance the quality of footage. This monitor is a really really great buy. It is sharp, it is sturdy, and it even comes with a great, quality case. It is also a great size and lightweight. Most importantly it has a rally high image quality, and I use it all the time to view my pics. I am def very happy with this purchase.